The Charger is a thrilling evolution, incorporating an in-frame integrated PowerTube battery from Bosch. 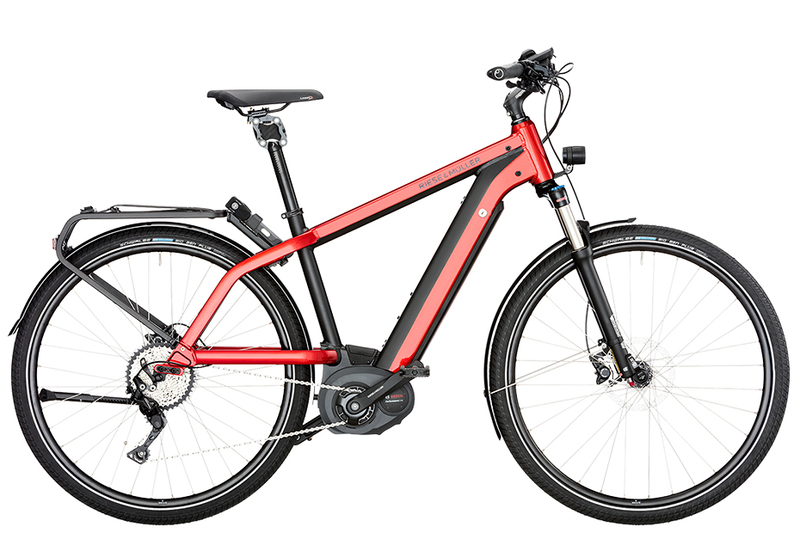 The Charger is at home on the commute or on the trail, with its integrated battery, front suspension, an optional front rack. Performance oriented & versatile. If you're looking for a bike that can pretty much do it all, the Charger will rise to the top of your list. If additional range is what you need, consider the Supercharger. Mixte frame offers a less aggressive look, more forgiving egress. So many bikes these days make getting on and off a yoga pose. If that's not your idea of fun, Riese & Müller is fairly good at offering lower step (mixte) frames for their sporty bikes, and the Charger is no exception. Integrated batteries look cool and improve handling! Seriously up your cool factor with this cutting edge design which actually makes the bike handle by placing the battery weight centered and low on the bike. Bosch CX Drive delivers the highest torque. Shy of getting super technical, just know that if you have steep hills to climb, the Bosch CX Drive will make you feel super human. Front suspension means mega comfort. Comes standard with the Suntour Aion front suspension fork for cushion and comfort. Includes a thud buster seeatpost to soak up bumps in the rear. Cargo Lite Capable. Optional rear cargo rack help you carry groceries, camping gear, kid seats and more. 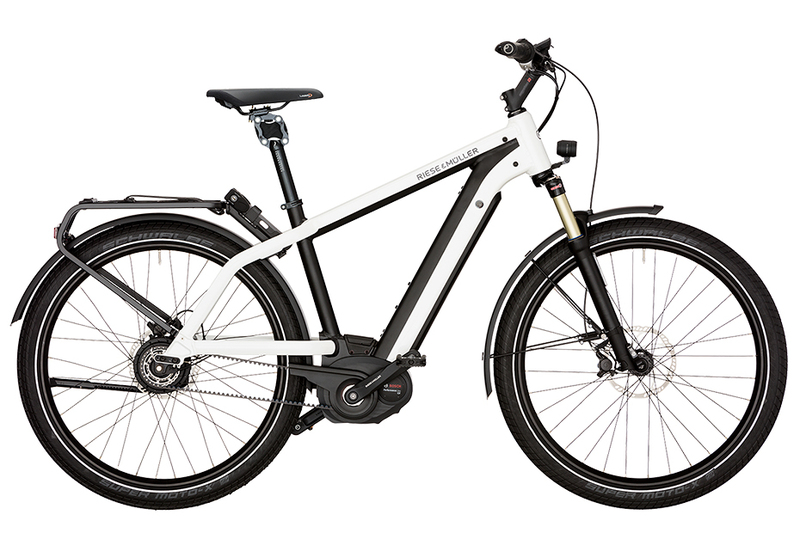 The Charger is a versatile "hardtail" bike the blends the very best in commuter bike capability, off-road versatility, and the high speed (or high torque) electric assist. There are three Charger's in the Riese & Müller family - the Charger, Supercharger and Multicharger. The retains Charger the essence of this popular ebike line. The most distinctive characteristic of the Charger is the single 500 Wh Bosch PowerTube battery that integrates into the frame. Expect a realistic range of 50 mi or more per battery charge. Typical Riese & Müller options abound - including motor top speed, drivetrain style, accessories, colors and more. Of note, the Charger comes in several Vario models that feature the Enviolo continuously variable transmission.